I've been recently married, and one of the ID's that I can instantly apply for is the PHL Postal ID. I've never applied for one before, so it was timely for me to get the newly improved version using my new surname. And so last month, I applied at Allimall in Cubao since the closest branch from our house went through some technical issues at the time of my visit. PHLPost will no longer release old versions of the postal ID (the laminated ones), as they've opted to change the material of the card to avoid illegal printing. According to PHLPost, added security measures have been instilled in the ID to further secure the integrity of one's identity and to eliminate fraudulent transactions. 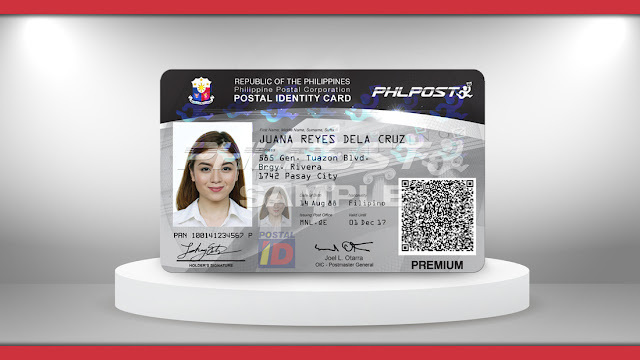 The Improved Postal ID has been infused with improved physical and biometrics-based security features such as the QR code (which also shows a hologram and ghost image), and the Automated Fingerprint Identification System (AFIS). It is now accepted as a valid government-issued identification document. IMPORTANT NOTE: Always bring the original documents and photocopies. Make sure to submit two duly-accomplished copies. You can opt to fill-up two copies by hand, or have your form photocopied to get an extra one. You can get copies of the application form on-site, or you can download it here. *1) Birth Certificate that is NSO certified or issued by the local civil registry. *1) Utility Bill (using your married name) - electric, cable, water, phone bill, etc. 2) Barangay Clearance - should be issued within three months prior to PID application. It should also state "Postal ID requirement" as your reason for application. STEP 1 - Submit all photocopied requirements, along with the original documents (these will be returned to you after data and photo capture). I passed all of my requirements at 1 PM, and was asked to come back at 2 PM. Though there were several applicants that came before me, so I was only called in at 2:40 PM. But my session ended 8 minutes later (processing usually takes around 8 to 10 minutes per person). STEP 3 - Staff will scan all of the documents. STEP 4 - Staff will ask you to write your signature (electronically), and then scan your finger prints (thumbs and index fingers only). STEP 5 - Staff will encode all of the information that you've provided on the application form, and will ask you to double check everything before s/he hits the submit button. HOW MUCH IS THE POSTAL ID? You will be asked to pay PHP 504 for the Postal ID (inclusive of taxes and delivery fee). You can expect to receive your new ID in approximately 3 weeks or in 15 working days. I received mine after 19 business days. If you won't be able to receive your Postal ID in person, have someone from your household represent you. Just provide them with an Authorization Letter, one government-ID and your PHLPost receipt. 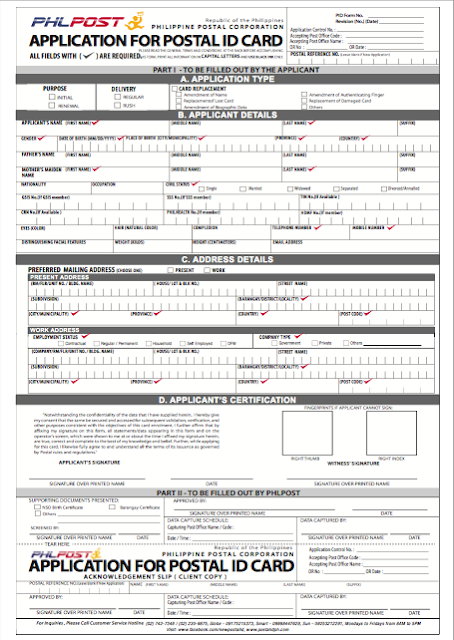 To know more about the application process, check the FAQs section of the PHL Post Office here.